Support our mission by purchasing Warmer with Hats & Mittens, a children’s book celebrating generosity by Minnesota author and illustrator Nancy Carlson. 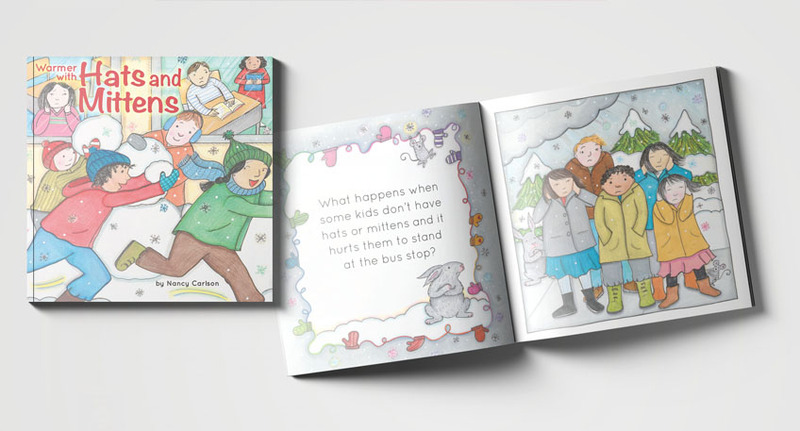 The book was commissioned by Thrivent Financial to spread the message of warmth and giving all throughout the year. All proceeds benefit Hats & Mittens.